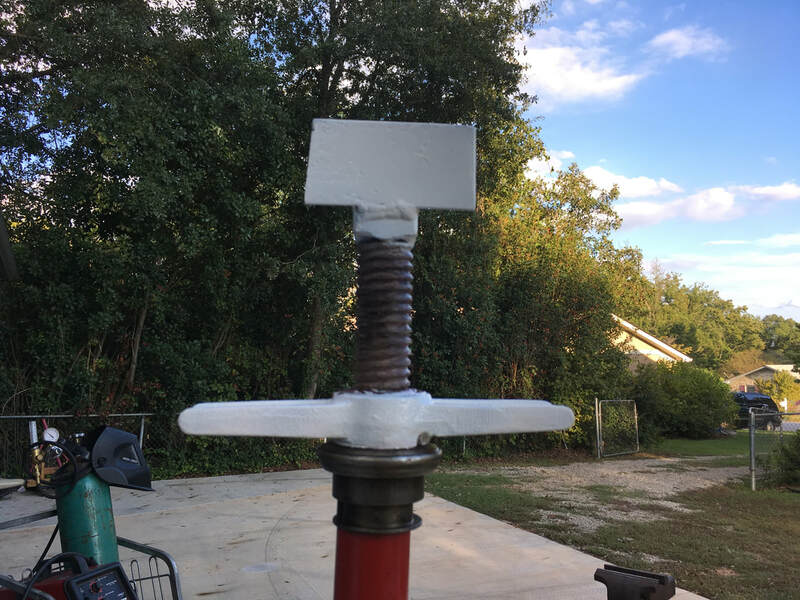 I'm fabricating a safety stand. 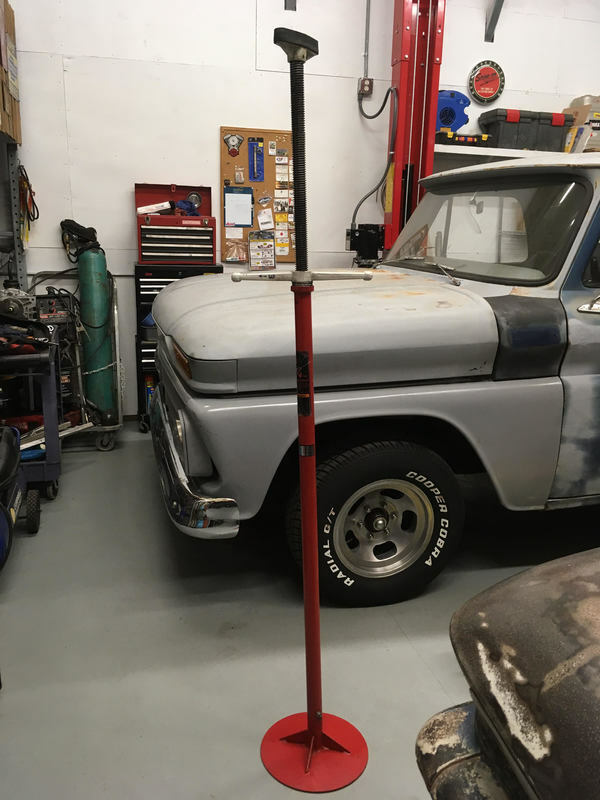 I already own a MATCO 3/4 ton stand. 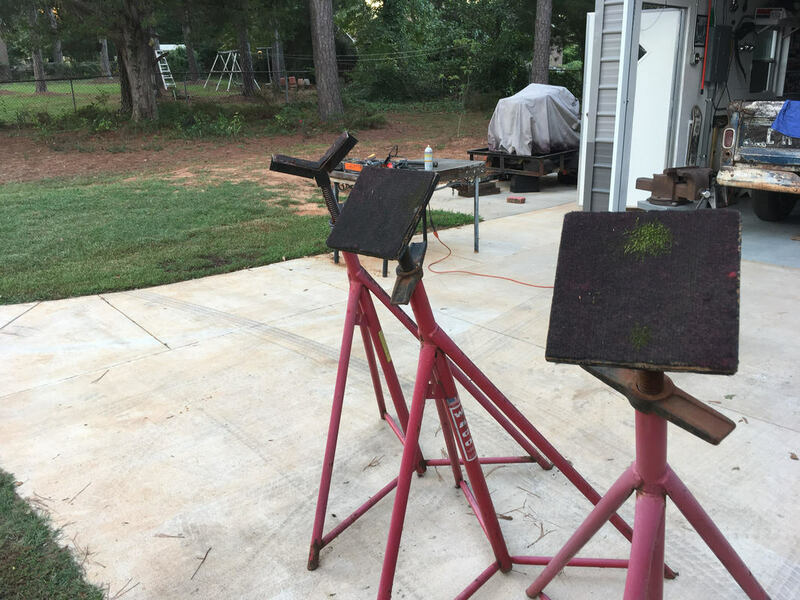 These stands are used to steady a vehicle while it's on a lift, but they don't support much weight. 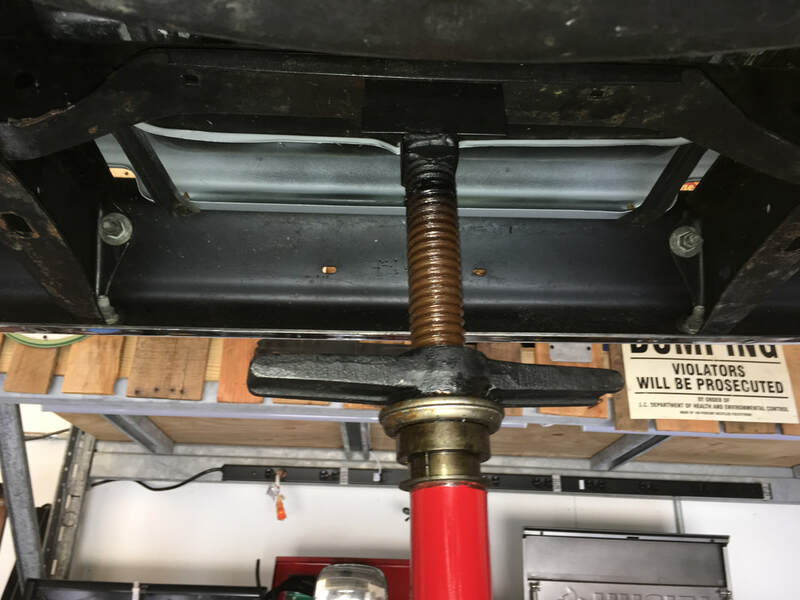 The stand prevents the vehicle from rocking front to back while on the lift arms. 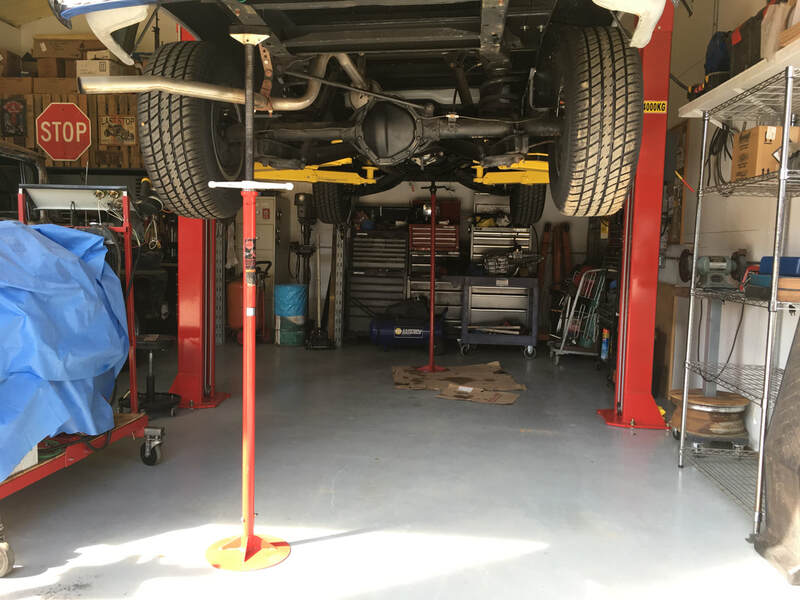 A lift stand increases safety in case the vehicle's center of gravity changes (like removing a transmission or other heavy component or when using a pry bar). 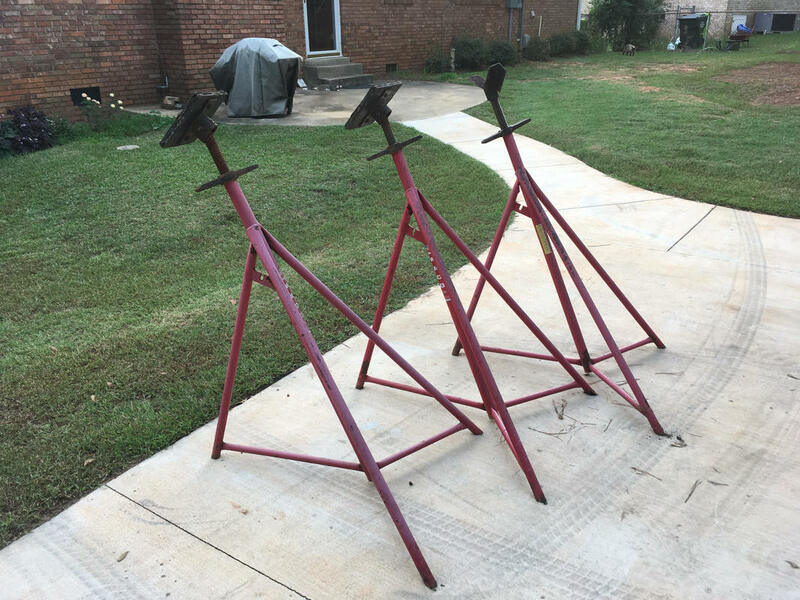 I was given some old boat stands. 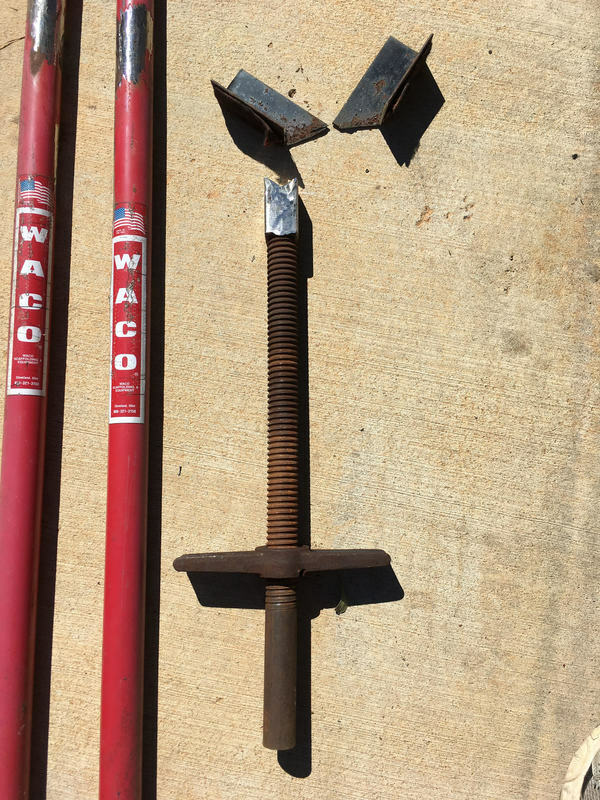 The screw and wingnut is essentially the same as my Matco stand. 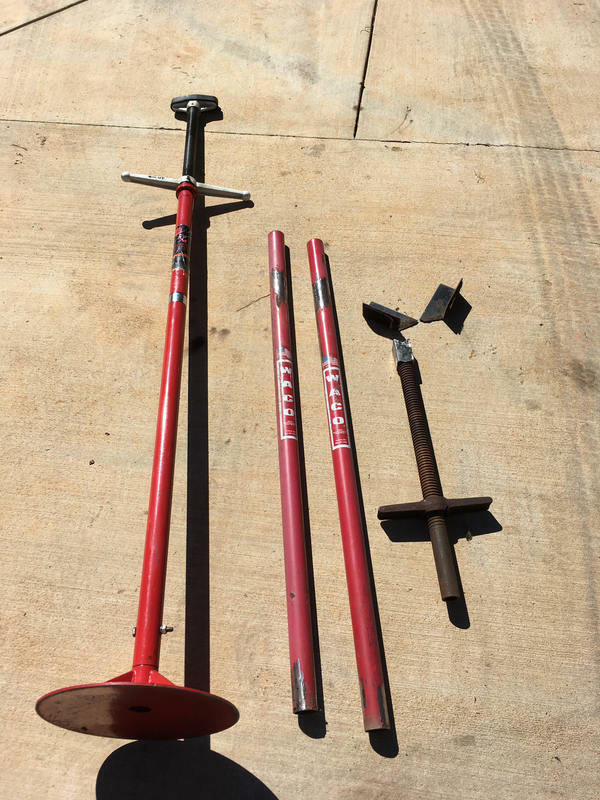 I need a second stand, so I'll use these parts to make one. 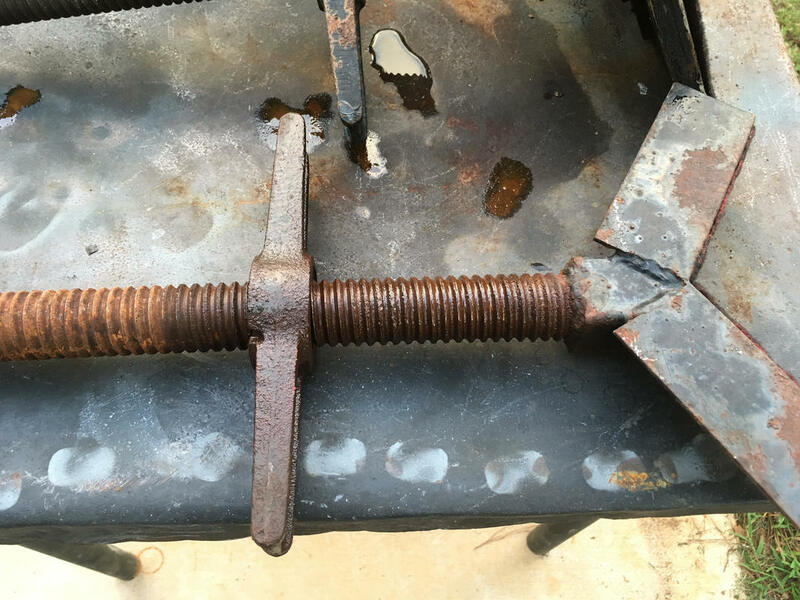 I need to practice welding, so this might be a fun project. 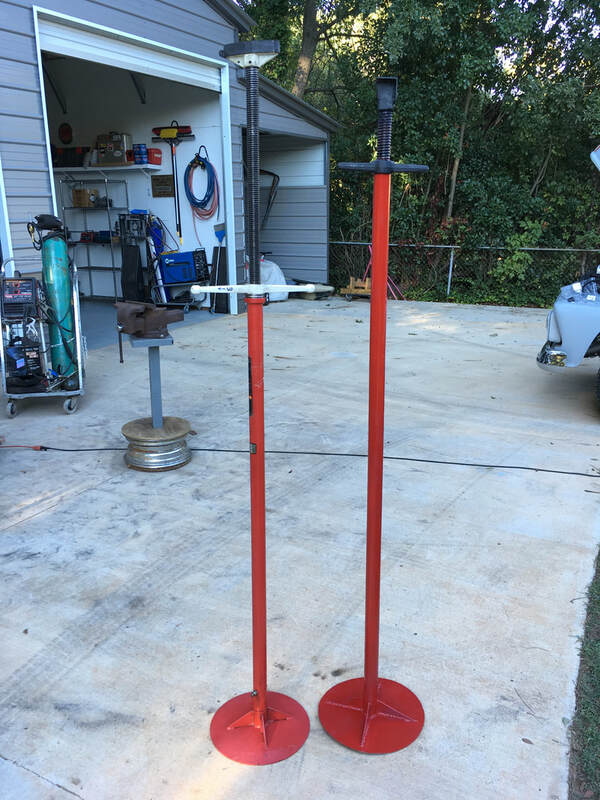 This is my Matco stand. 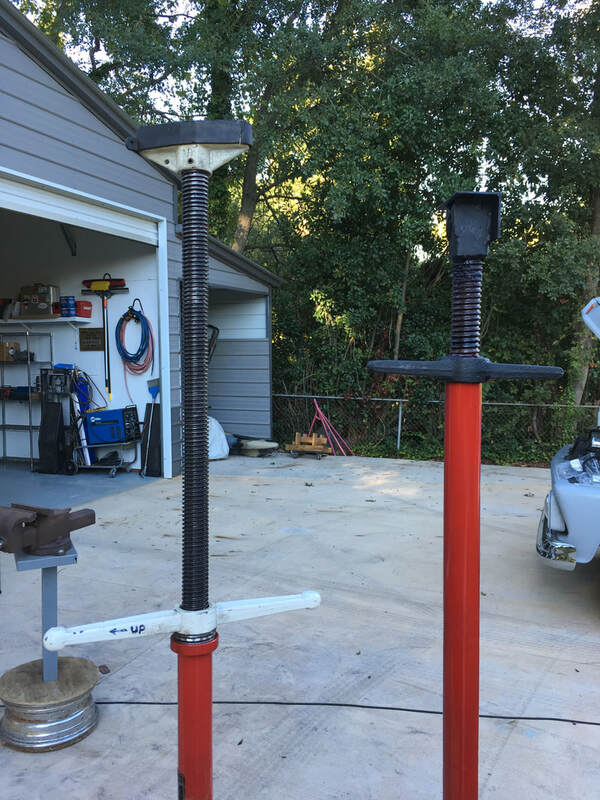 I'll cut up these boat stands and use the parts to make another stand. 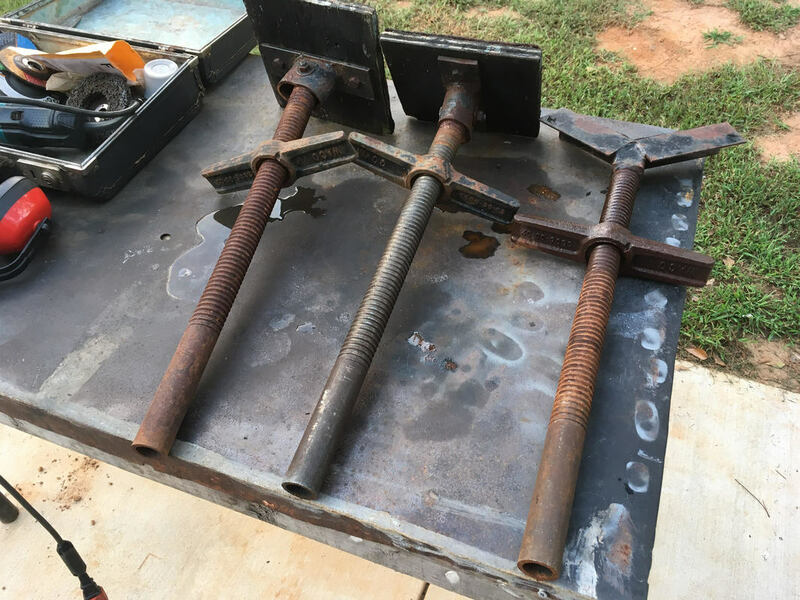 Two boat stands were cut apart to get the parts needed to make one stand. The stand on the right has a shorter screw, so I had to make the pipe longer. An old release bearing beneath the wingnut reduces friction. White paint added. I'll add a rubber pad to the top. I made a novice welding mistake and got the bottom disc too hot, so it was warped. 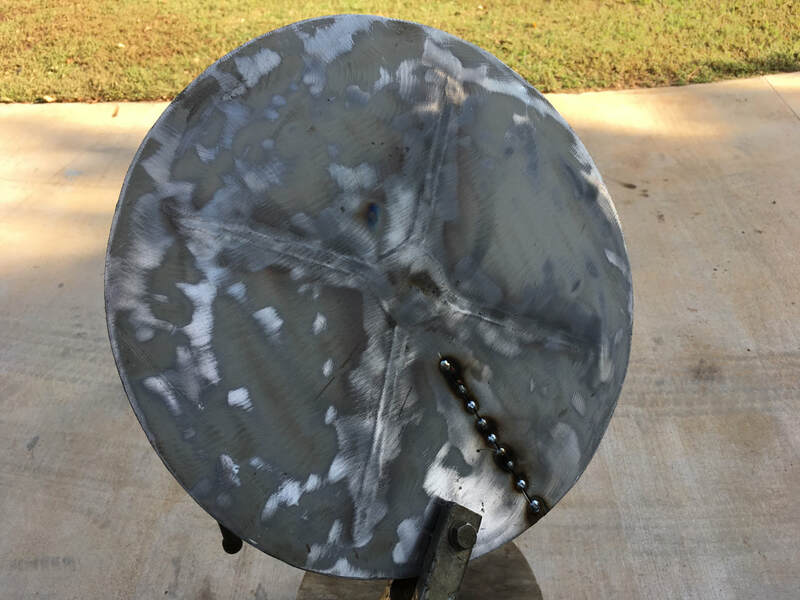 I made a single relief cut and re-welded the cut to make the disc flat again. 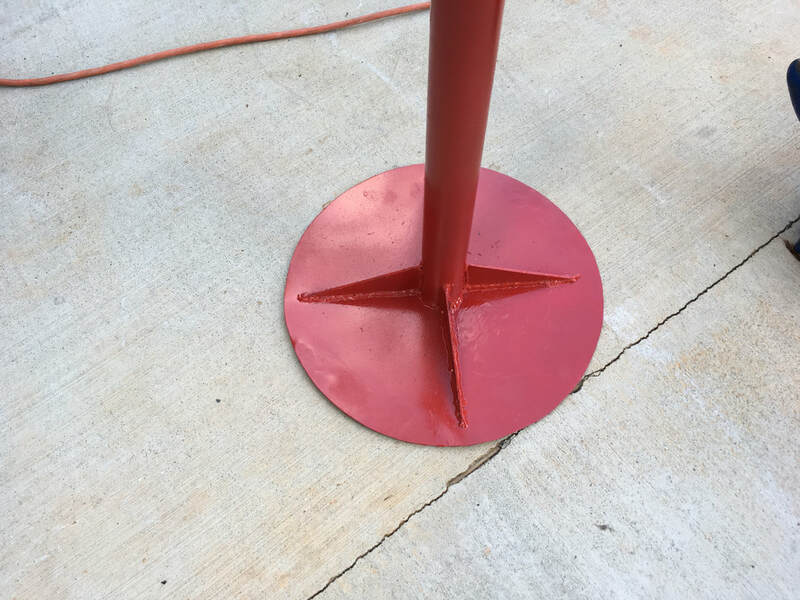 These safety stands, (a.k.a. 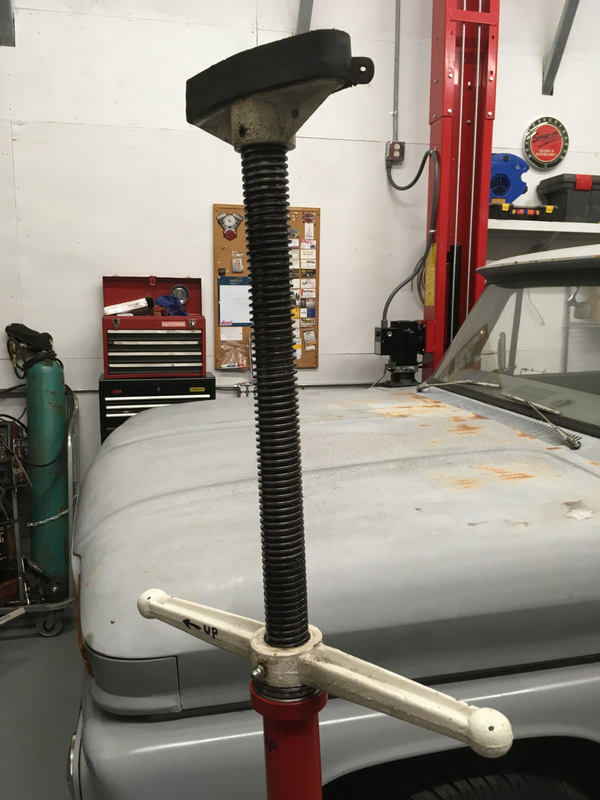 screw jacks) will be used whenever possible.